New Jersey and other states have proposed legislation that would remove the (frequently-fudged) religious exemption for vaccines. But should they? In 2000, measles was declared eliminated from the United States because of the highly-effective MMR vaccination program. But in 2018, there were 17 outbreaks across the country, including in New Jersey and New York. Outbreaks in Washington State and Texas continue this year. The Centers for Disease Control and Prevention attribute the rise in reported cases to more “spreading of measles in communities with pockets of unvaccinated people” and from international travel. Measles remains a leading cause of death of young children around the world. Are your children getting enough physical activity? Because of the outbreaks, some states are attempting to tighten its anti-vaccine exemptions for children, adolescents and teens who attend public or private school. After a measles outbreak that began in Disneyland in 2014, California completely eliminated religious and personal exemptions, allowing only for a physician-certified medical exemption for unvaccinated children to attend school. Now New Jersey, New York, Iowa, Vermont and Maine state legislatures are attempting to follow suit. According to the Pew Research Center, large majorities of all major religious groups say all children (except those medically exempt) should be required to receive vaccinations to attend school. In the United States, no major religious groups oppose childhood vaccinations because of their doctrine. Catholics, Jehovah’s Witnesses, Jews, Muslims and Hindus have clear stances in support of immunizations. If most religions are not opposed to vaccines, then why are religious exemptions so important to anti-vaxxers? Because some families are fudging. In New Jersey where I live, I know families who use religious exemption as a loophole to get their children into school without vaccines. Their anti-vaccine stance has to do with personal opinion rather than any infringement upon religious freedom. For these families, I believe the loophole should be closed. If their convictions are so strong that they will not under any circumstances vaccinate their children, then they can homeschool them rather than put other kids or adults in their communities at risk. We must recognize that while they are in the minority, there are people in America who truly believe that vaccinations are at odds with their religious beliefs. Churches that rely on faith healing over medical care, such as Church of the First Born, End Time Ministries and The First Church of Christ, Scientist are absolutely opposed to vaccinations. Orthodox Jews, the Amish, Dutch Reformed churches and Muslim fundamentalists have some subsets that are anti-vaccine. In a nation founded on religious freedom, I believe respect must be bestowed upon these groups’ religious beliefs, as with any religion. As long as those beliefs are not hurting anyone, who are we to deny them their religious freedom and tenets? Yeah, that last sentence is where things get tricky. Because denying children vaccinations does hurt people and we are seeing those consequences in real time. In fact, sometimes an outbreak of a preventable disease causes a religious group to change their collective mind regarding vaccinations. Because of the 2014 measles outbreak, Amish communities in Ohio brought thousands of children in to receive MMR vaccination. Because of the recent outbreaks, even if your family has been immunized, it is important to watch for symptoms in your own family and understand the history of measles. It is a highly contagious infectious disease that causes fever, rash, cough, runny nose and conjunctivitis. At its most severe, measles complications can include brain damage and death. According to the CDC , most children contracted measles before age 15 before a vaccine became available in 1963. During each year in the decade before the vaccine, 400 to 500 people died, 48,000 were hospitalized, and 1,000 suffered encephalitis from measles. In 1978, the CDC set a new goal to eradicate measles from the United States within four years; by 1981 the number of reported measles cases was 80 percent less than 1980 because of the MMR vaccination. And in 2000, it was gone. But unfortunately, not for long. I have good friends who have chosen not to vaccinate their children. I do not understand it, but it is not my place to try to change their mind or tell them I disagree. To each their own is generally my philosophy. But when we are talking about a previously-eliminated infectious disease resurging in our country through outbreaks, due in part to parents without medical degrees believing that they know better than the smartest doctors and scientists in the world, I have a stronger opinion. There is a good reason that the MMR vaccine is required for all children to attend school and I understand why states like New Jersey are seeking to eliminate religious exemptions that allow unvaccinated children to enroll. Do you think New Jersey and other states should remove religious exemptions for unvaccinated children? 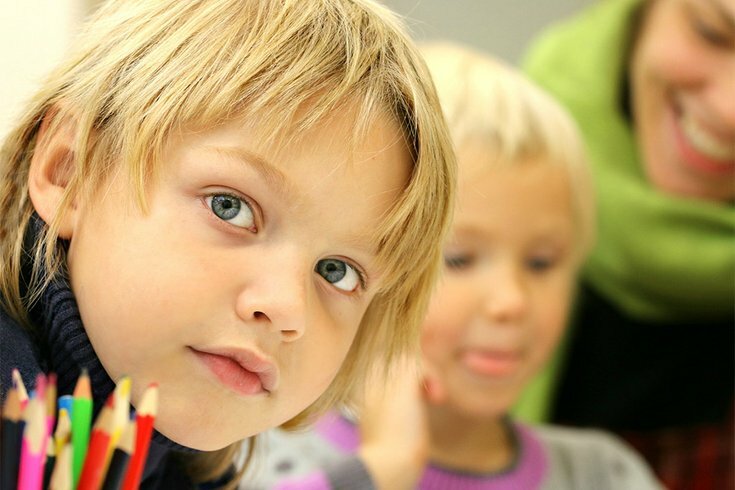 Aside from true medical exemptions, should unvaccinated children be allowed to attend school? Share with me and other parents in the comments section, below, or tweet me at @ThePhillyVoice and @KathleenEGagnon.